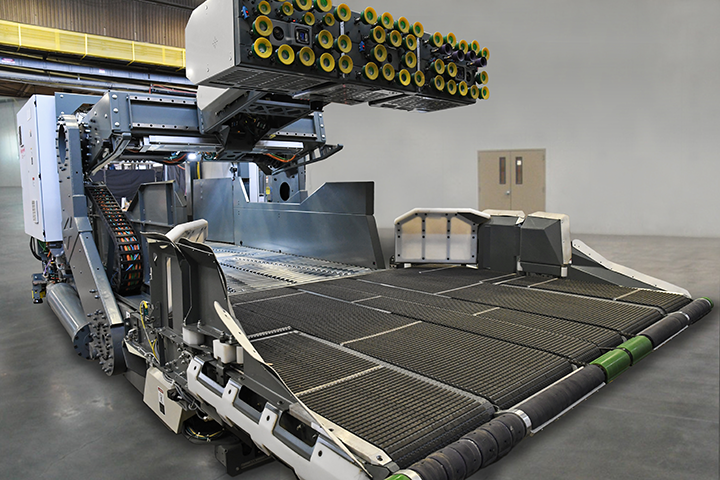 We’ll be highlighting our automated robotic unloader at Automate. This solution is an autonomous mobile robotic system that fills a long-time need in the warehouse and distribution space. Automate is an important event to showcase this, as it gives us the opportunity to demonstrate this leading-edge robotic solution to key organizations within the automation industry. Anyone interested in viewing a fully autonomous mobile robotic unloading solution for randomly stacked products should stop by to see this system in action. This vision-guided system with two robotic manipulators operating on top of a mobile platform should be on the list of everyone attending Automate. We’re participating in an educational session, “Robots in the Warehouse: A Confluence of Technology” under the Automation Solutions & Innovations Track. In this session, we’ll review various technologies such as machine vision, advanced motion controls, AI and simulation and show how they come together to enable robotic solutions for warehouses. We’ll also discuss some ongoing challenges with implementing robotic solutions within a warehouse environment. Automate offers an unparalleled review of products, services and suppliers within the automation industry, all in one location. I get quite a lot of value from walking the show floor and seeing how different organizations are innovating in this space. In addition, there are several educational sessions on robotics in the warehouse as well as a “Launch Pad Startup Competition” that I’m most interested in attending. Honeywell Intelligrated’s products are being used extensively in the e-commerce, warehousing and distribution space. We provide a suite of hardware and software products and deliver them as an integrated solution, which serves as the infrastructure engine behind many of the world’s leading retailers. Our robotic solutions are undergoing a transformation to allow them to see better, think smarter, and act faster than ever before. To achieve this goal, we’re leveraging Honeywell’s “Power of Connected” platform to glean insightful metrics on performance and maintenance from our deployed solutions. By using this information conduit, it can be used to train/learn and re-deploy new modes of operation and enable different ways to approach unforeseen issues, allowing robots to adapt their methodology as the environment changes.